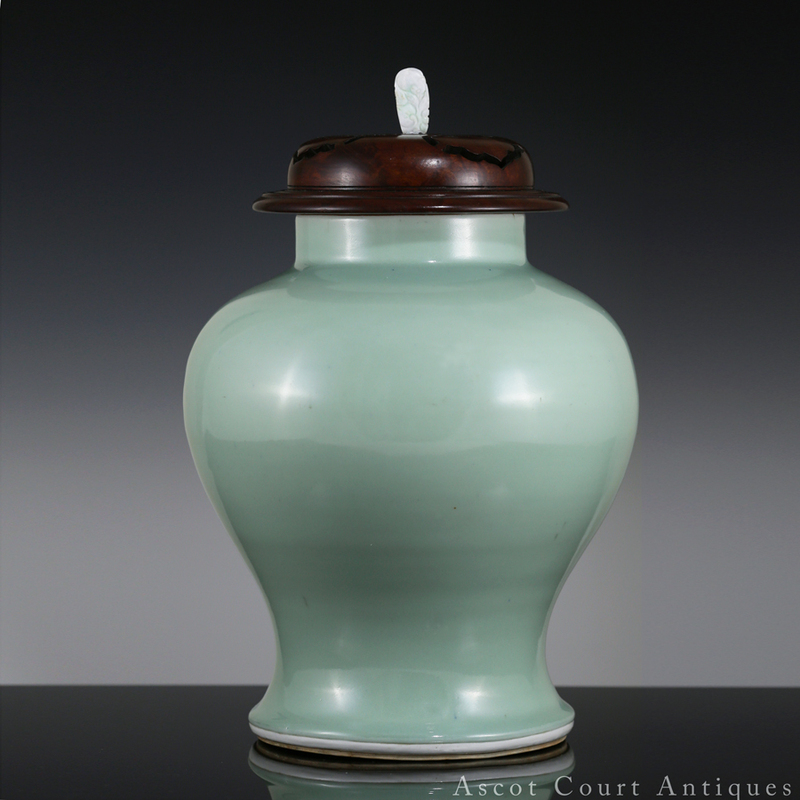 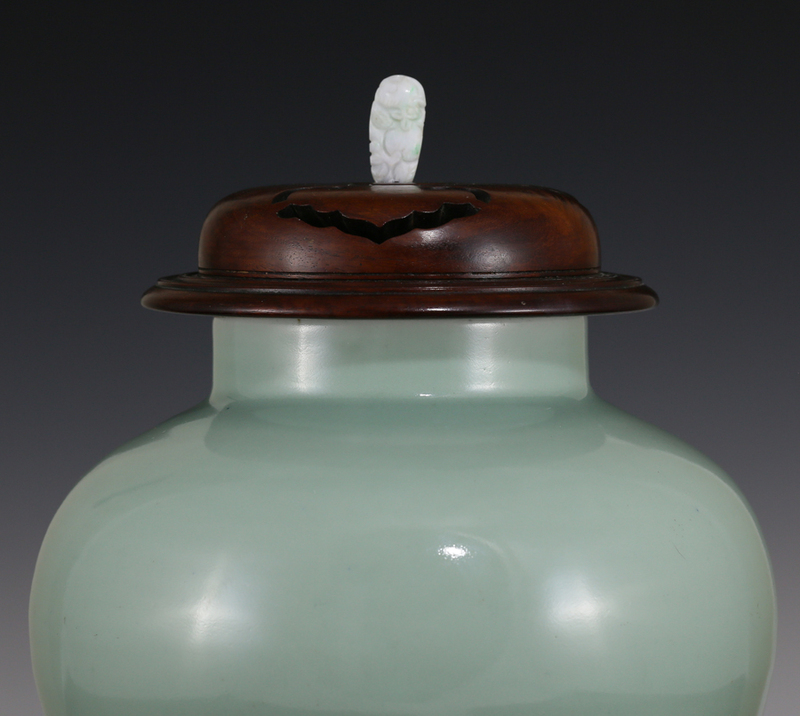 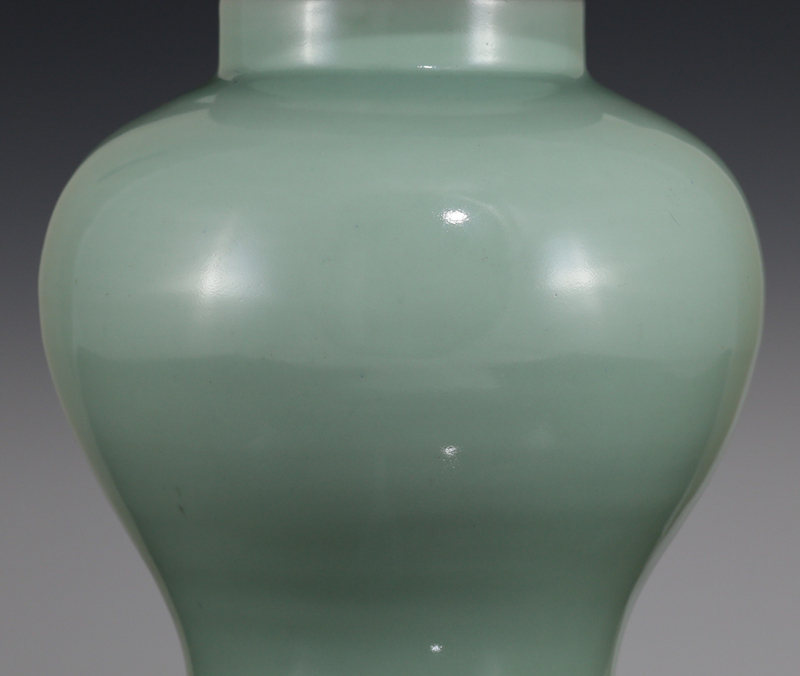 An 18th century Jingdezhen monochrome celadon jar, of a well-proportioned baluster form nearly identical to those of Kangxi period blue and whites. 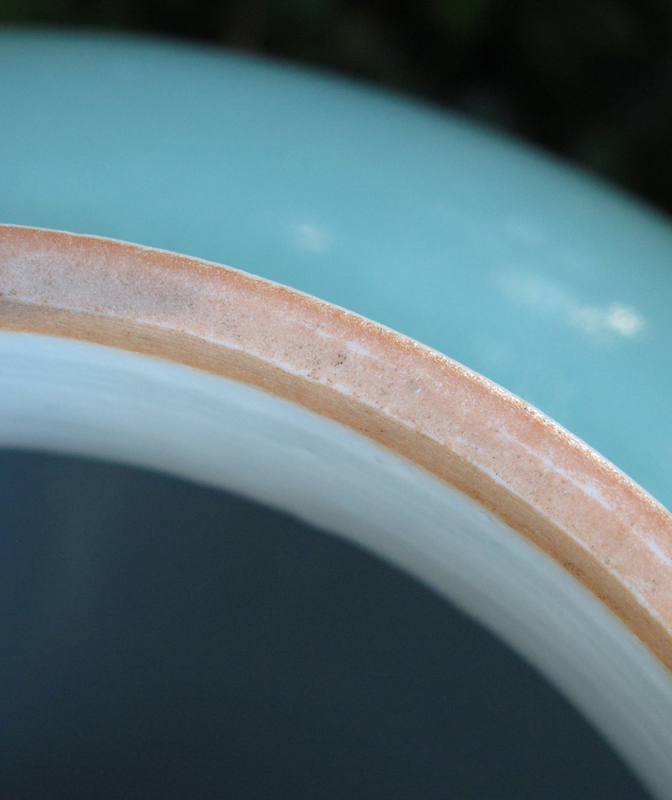 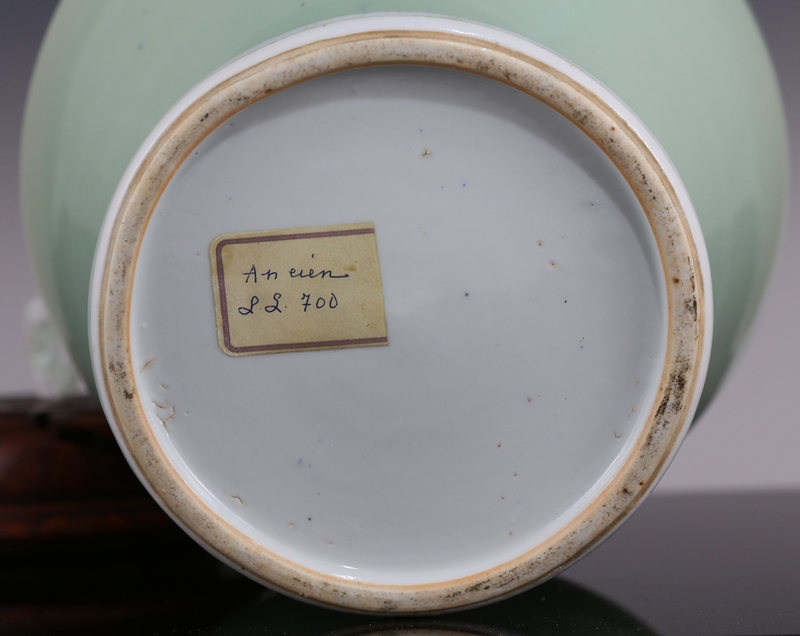 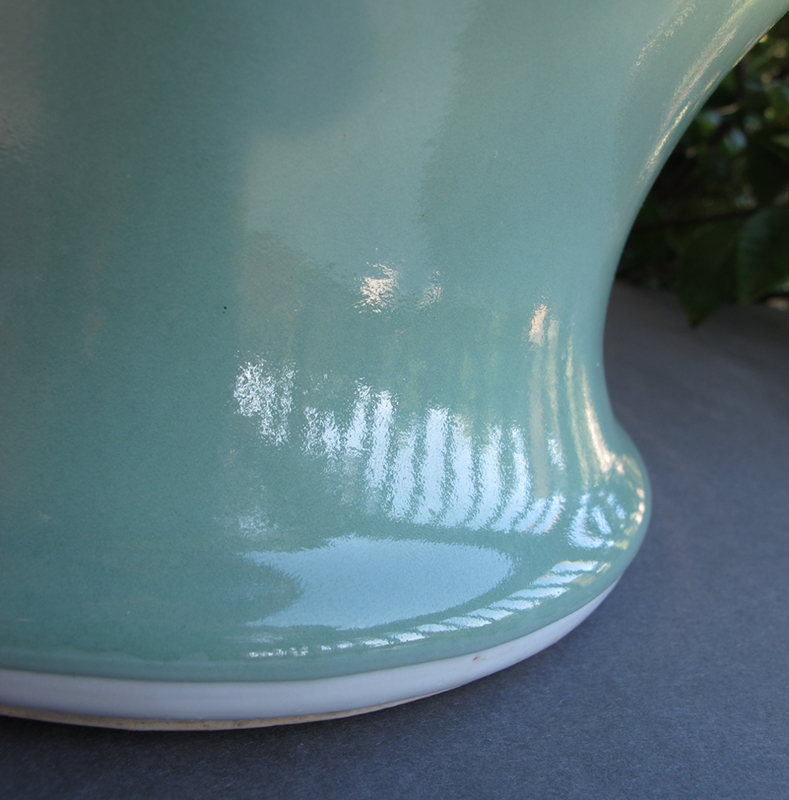 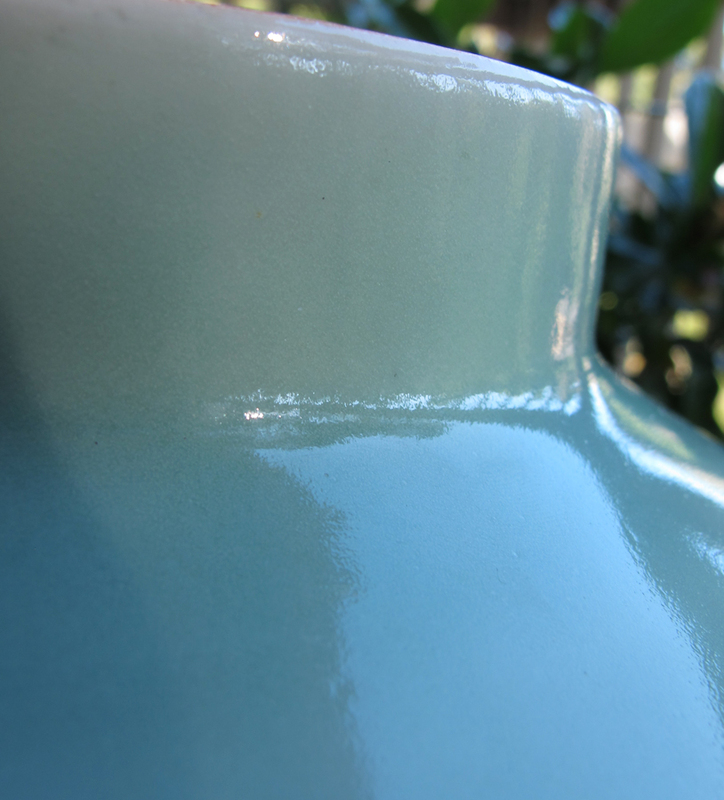 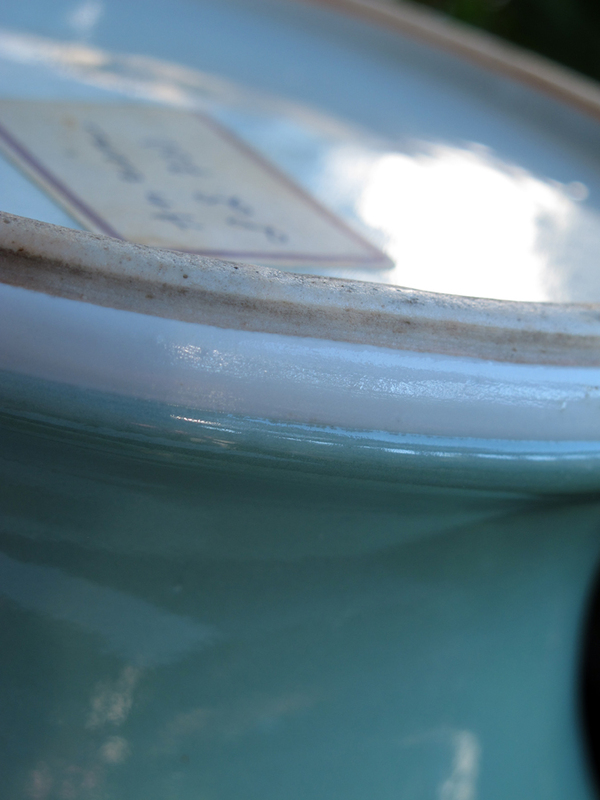 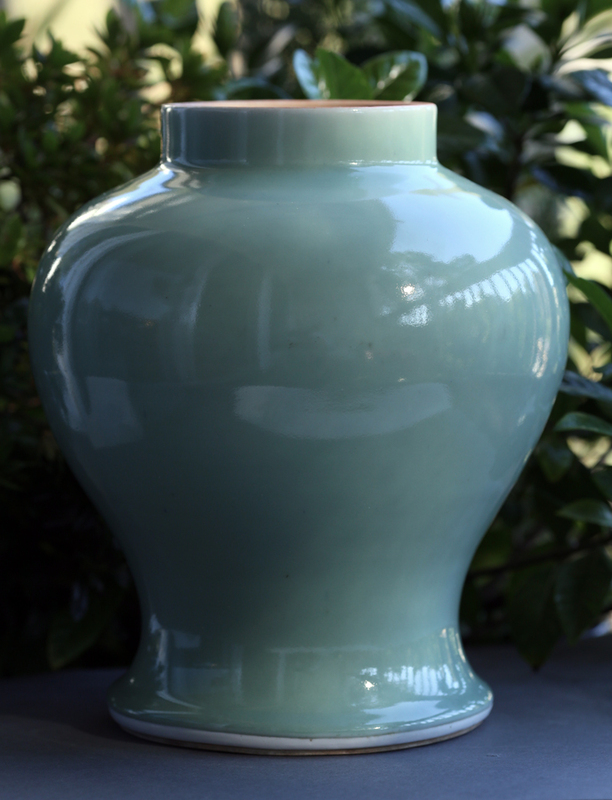 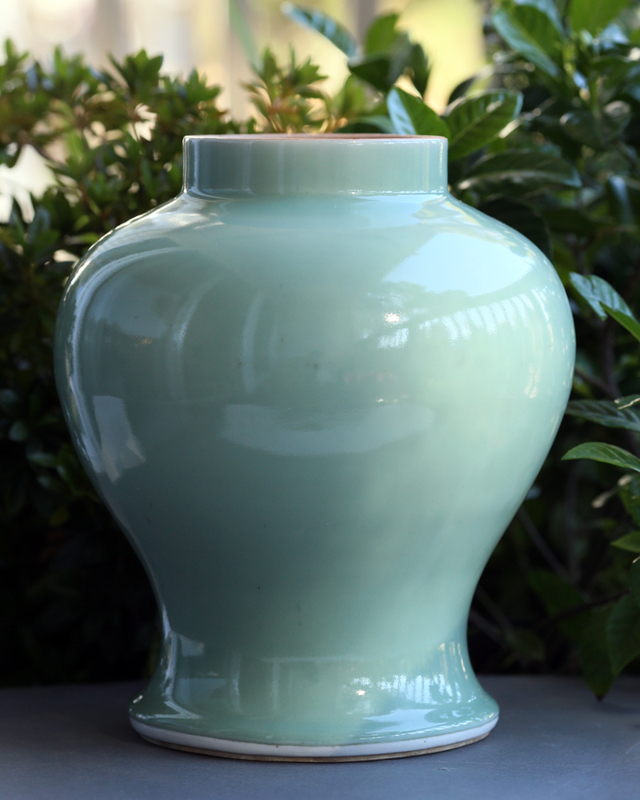 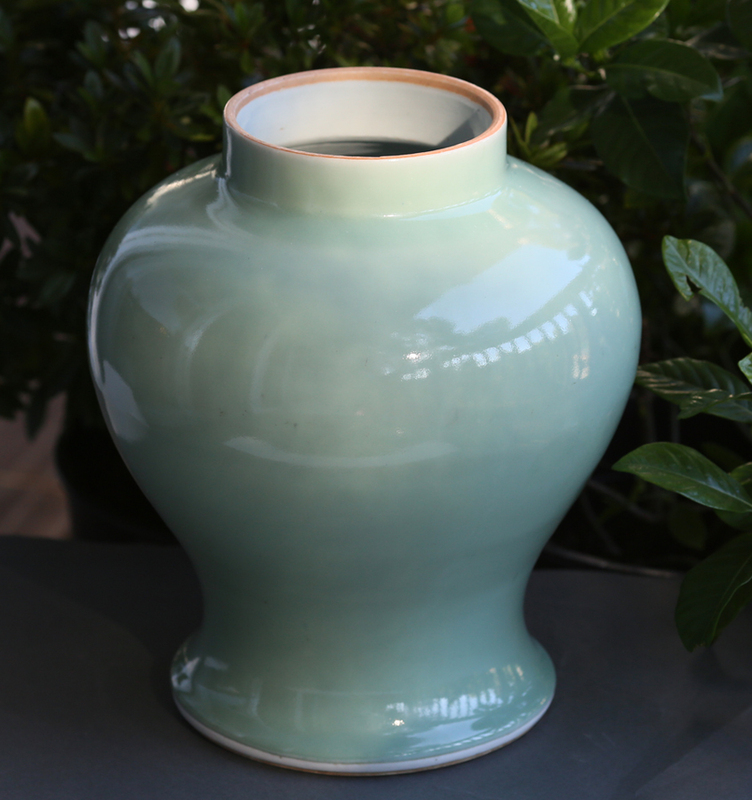 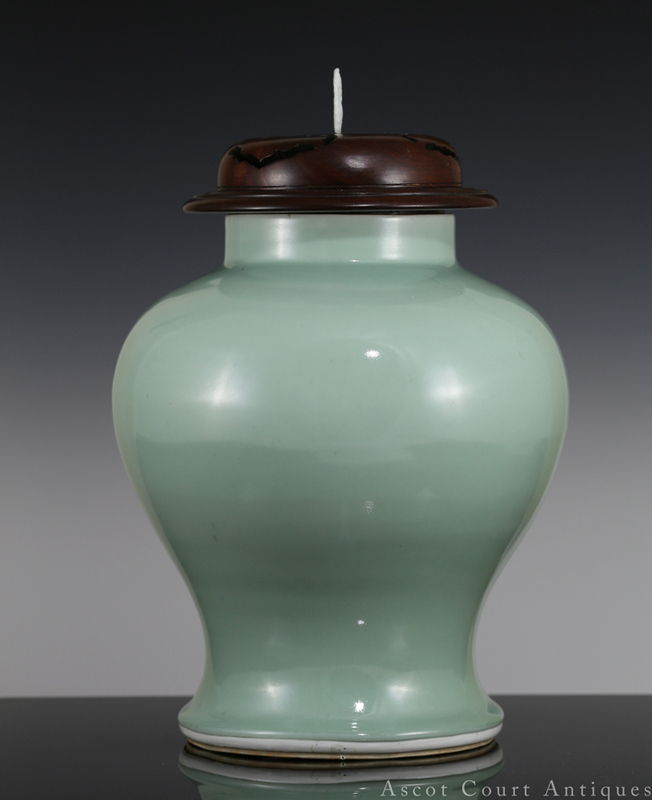 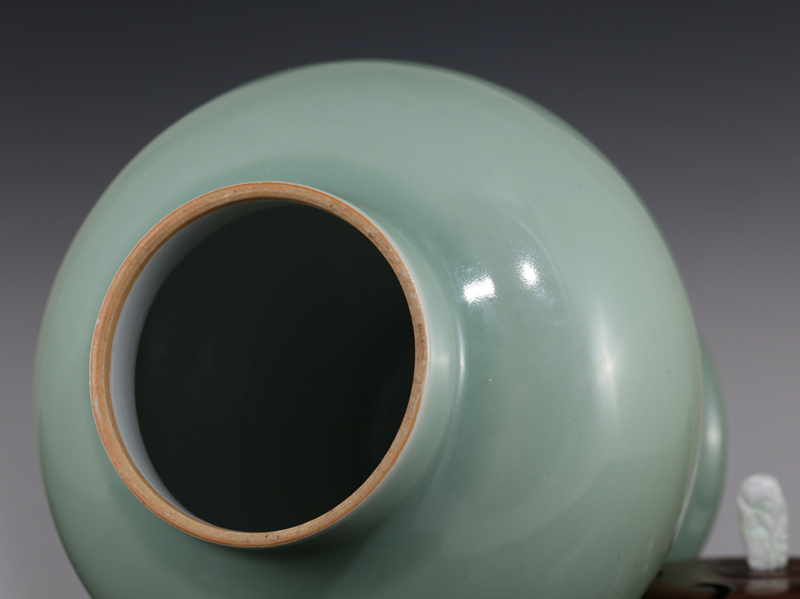 Its high fired celadon glaze is truly wonderful: luminous, radiant, and thick — full of transcendental, jade-like beauty. 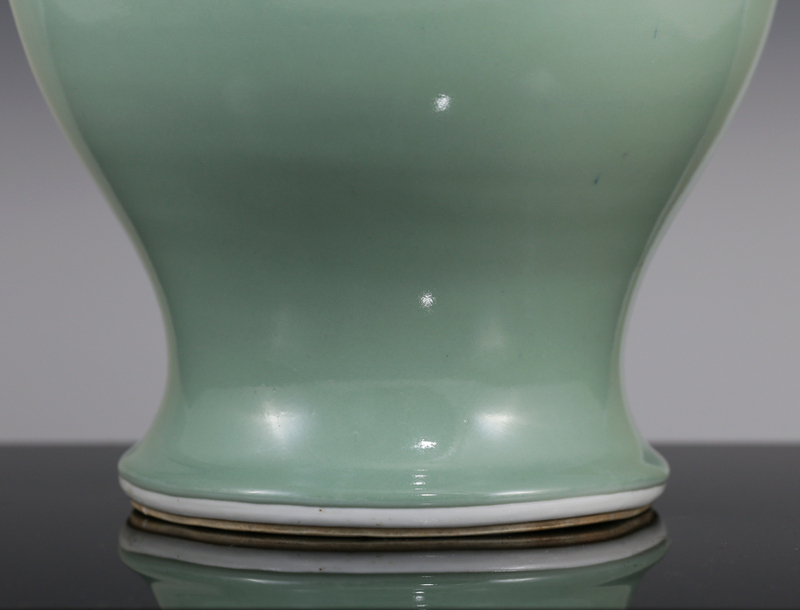 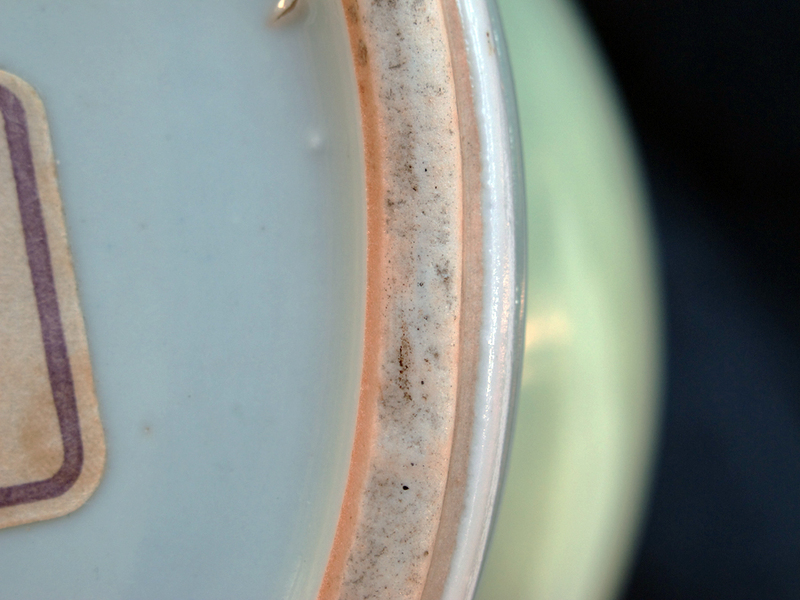 The glaze stops very neatly at the foot, which is a defining feature of 18th c monochromes.